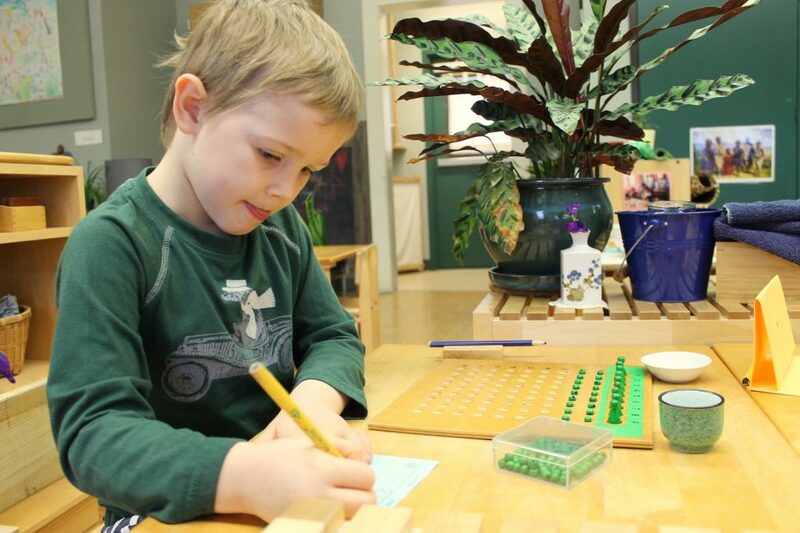 A Montessori work cycle is an uninterrupted block of time. During this time children are able to explore the prepared environment and engage with materials of their own choosing. The time is meant to give them opportunities to enjoy the work they love, while also cultivating basic life skills. Children’s House/early childhood classrooms: 2-3 hours most mornings, additional time in the afternoon for 4 and 5 year olds. What exactly do children do during this time? While it looks slightly different at different levels, there is always some combination of most students working independently while teachers give individual or small group lessons. Great care is taken to not interrupt children while they are working, showing them the respect that this time and their exploration deserves. In primary/early childhood classrooms, lessons are given mostly to individuals. Children move around the classroom selecting work of their choosing. They may work on a table or the floor, with a special rug laid out beneath them. After selecting a work from the shelves, they bring it carefully to the workspace of their choosing, and use the material as they have previously been taught. Children know they are responsible for putting the materials back neatly and selecting their next work independently. At this age, children are typically focused on their own work and may engage in what is called ‘parallel play’. This can be seen as defined working and playing beside one another while focused on their own individual work. At the elementary level the basic structure is the same, but teachers honor the developmental need for more socialization in children of this age. Lessons are more often given in small groups, and children prefer to work with one another. 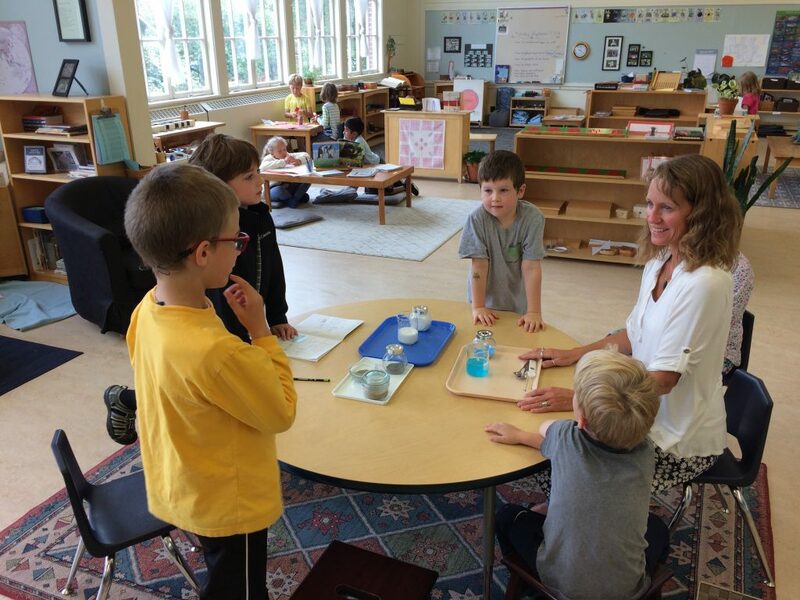 While there is a great emphasis on choice and self-directed learning, children in elementary classrooms are expected to meet certain academic guidelines. For example, a teacher may require that throughout the course of the day or week, a child must do work in all academic areas. Teachers check in with students to make sure they are meeting these goals, and gently guide them with strategies to do so. Regardless of the level, the work cycle gives children a chance to develop autonomy, make choices, and find genuine joy in their work. Teachers hold this time as sacred, and it allows children to dive deeply into learning.